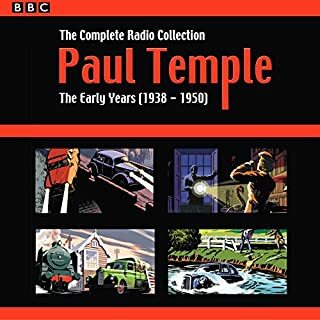 The complete collection of landmark BBC Radio dramas of Raymond Chandler's Philip Marlowe mysteries. Philip Marlowe is the archetypal noir detective: wisecracking and world weary, hard boiled yet honourable. This volume includes all eight dramatisations of Raymond Chandler's groundbreaking crime novels featuring his iconic hero. The Big Sleep: Marlowe is consulted by a wealthy family man with two big problems: his children. Farewell My Lovely: Marlowe's search for an ex-con's ex-girlfriend leads him into danger. 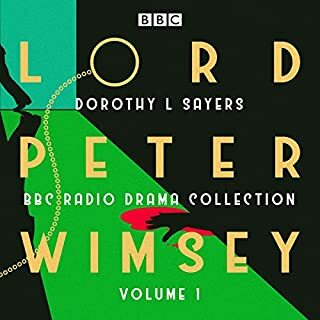 The High Window: when a rare gold coin is stolen from her collection, Mrs Murdoch hires Philip Marlowe to find it. The Lady in the Lake: businessman Derace Kingsley hires Marlowe to find his estranged wife, Crystal. The Little Sister: commissioned to find Orfamay Quest's missing brother, Marlowe is drawn into the glamorous film world of Hollywood. The Long Goodbye: Marlowe befriends a drunk named Terry Lennox but comes to regret doing him a favour. Playback: hired to follow the mysterious Betty Mayfield, Marlowe soon finds that he is being tailed, too. Poodle Springs: newly married Marlowe puts his bride aside to look for a gambler on the run. Starring Toby Stephens as Philip Marlowe, these stylish, suspenseful dramatisations - full of witty, ironic dialogue and colourful characters - bring the beautiful, corrupt world of California in the '40s and '50s to luminous life. Toby is great. 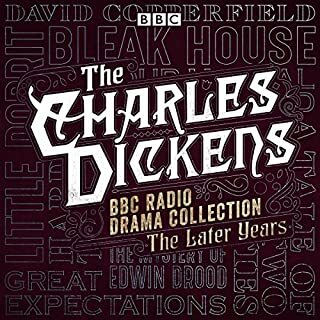 this audible originals are great . Classy dramatisations with great atmosphere and acting, particularly from Toby Stephens - whose accent is flawless! Raymond Chandlers stories are wonderful and timeless. 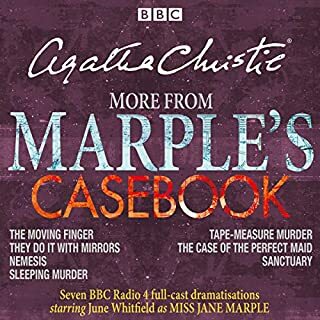 And these audiobooks are exceptionally well done. A real joy to listen to. 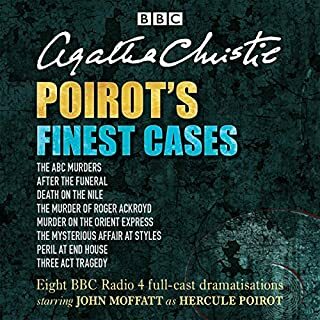 This was a fun, easy listen except for the appalling acting from several of the female characters. They were annoying enough to knock off a star. I know most of the Marlowe femmes are hardly deeply nuanced, but some of these actresses need a remedial class or two. (Yes, to my ear, they are that bad). Stephens carried the day, though, and I found his "California Noir" voice wonderfully surprising. He's always a first-rate performer, though, so I'd expect nothing less than brilliance from him, even portraying an American. The story adaptations were well-written, faithful to the spirit of the originals. Philip Marlow is the quintessential noir detective. He is the inspiration for the hard-boiled smartass rough necks that follows. the mysteries found here are foggy and clouded and have the feel of a real mysteries being uncovered by the reader right along side Marlow. fair warning, this was written in a very different time. it speaks ill off certain races and women at times. nothing completely and disgustingly offensive out right, but there is some of that in the text. 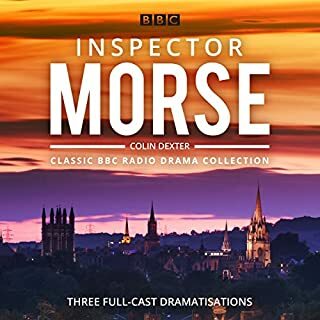 This is a decent dramatization of a Raymond Chandlers works, including the post-mortem Poodle Springs written by Robert B Parker, creator of the Spencer detective series. It's good but I don't think Auntie Beeb excels when it comes to American accents. Still, it grows on you and by the end of the series I felt it was a good dramatization. 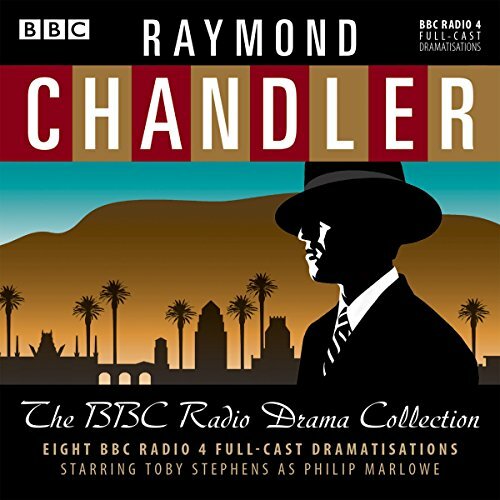 Would you listen to Raymond Chandler: The BBC Radio Drama Collection again? Why? These are really great adaptations of Raymond Chandler's novels. Very well done! These are awesome. Very atmospheric with great acting and sound effects. 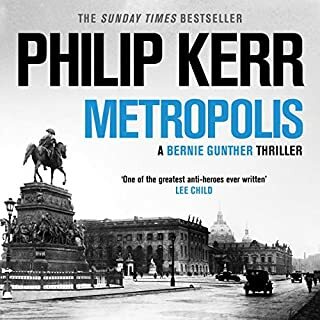 HIGHLY recommended, especially if you are a fan of noir. 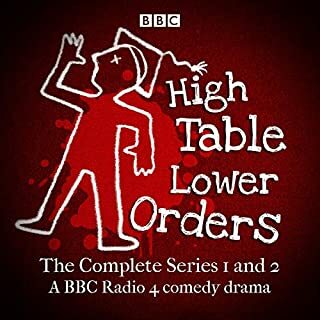 What other book might you compare Raymond Chandler: The BBC Radio Drama Collection to and why? None. These are stand alone. These are, by far, the best adaptations I have ever heard of Raymond Chandler's Phillip Marlowe novels. Which character – as performed by Toby Stephens – was your favorite? Glad to have all the novels dramatized together since the little sister wasn't available by itself. They're a little short but still fun. 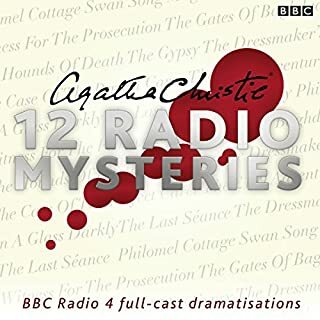 Where does Raymond Chandler: The BBC Radio Drama Collection rank among all the audiobooks you’ve listened to so far? This has become one of my favorites. 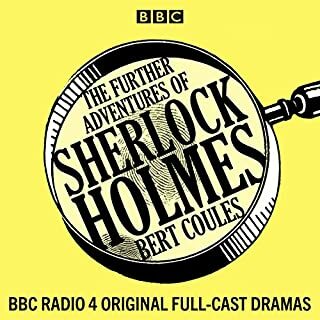 The New Adventures of Sherlock Holmes because it revisits classic old time radio. I really can't choose just one. I loved the dramatizations of Raymond Chandler's works. I enjoyed all of the stories. 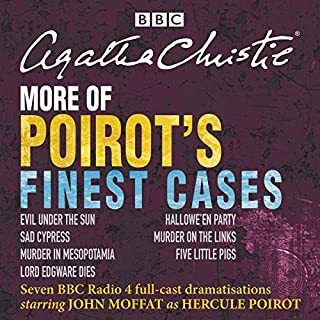 A wonderful interpretation of old time radio noir classics. Not to be missed. There have been so many great writers in the noir detective genre. Each few years, a new star is discovered. Although I read and enjoyed most all of the late Robert B. Parker's stories, and ditto with Lee Child; no one touches Raymond Chandler. These stories are certainly dated, from the use of the "sap," to phrases such as "soldier," to the continual cigarette smoking, and all-hours-of-the-day imbibing. Even the ringing telephone and the sound of the automobile are antiquated. But if one can get beyond that (or even enjoy the sounds of a time long past), the power, the integrity, the sensuality, and the sexuality stand alone in allure. The plots are intricate. The choice of words is crisp. The power pulses. If it is possible for dated material to instead be timeless, Raymond Chandler's writings have accomplished that paradox and improbability. This is quite the find. I’ve listened to this 3 times now about once every 6 or 7 months. I have a couple of dozen books I haven’t heard yet but sometimes this hits the spot. The characterizations are superlative as is the production. Even knowing the outcome the presentation is as they say, sometimes the journey is better than the destination. Of course for anyone that grew up on noir; Bogart and Bacall still hold the "Big Sleep" crown. I am 10 minutes in and wow -- what a disappointment. It would have been better to take the film sound track and make it into a audible. This cast - especially the females -- do nothing for some of the greatest lines in detective fiction ever written. Maybe it'll get better. So would chapter headings have killed them? 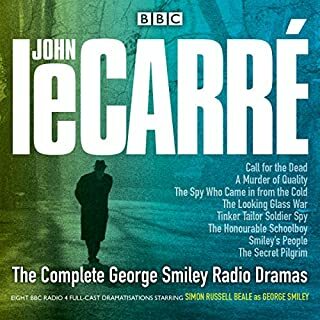 Good performances and some of the greatest crime narratives of the 20th century. 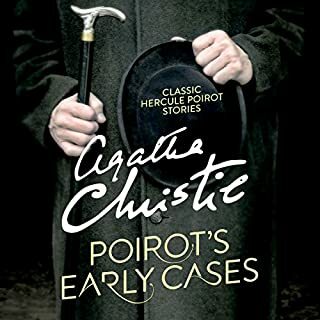 But the chapter headings give no hint to which story the chapters cover, and the beginnings of each story don't have any identifying introductions. You have to know the stories themselves to figure out just what you are listening to. Want to dive straight into "The Long Goodbye"? Then it's forward and back on the chapter headings until find the start of it - or not. Lazy editing on someone's part. 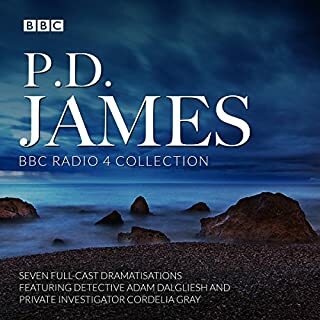 Overall, this was an interesting listen with fine performances and suitably atmospheric music. It was annoying that the stories were not introduced at the beginning so that, unless you looked at the details section, it wasn't clear until the end what you'd be hearing. Admittedly, it was possible to guess which was which with the better known ones but,as the stories tend to cover similar ground, this is not always the case. This smallish error spoilt the production for me, hence 4 stars all round. Superb acting by Toby Stephens and supporting cast, although they could have used a few more voices. However, all the stories are great and the music gives it that LA Noir feel to it. I hope Audible acquires the dramatisations of James Bond soon; also starring Toby Stephens. 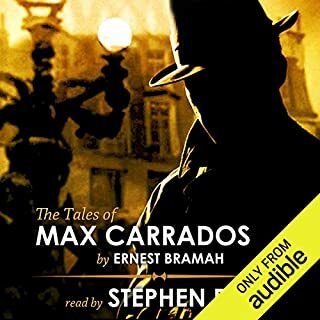 I really enjoyed these stories of the various cases for Philip Marlowe. The voice acting was perfect, the stories enjoyable. I am a great fan of the Chandler stories and also the classic movie adaptations. This collection is overall quite disappointing; no chapter headings for some reason. I thought the accents were crummy. The version of the Big Sleep was a let down. I will delete this from my collection after I have struggled to listen to the other dramas. 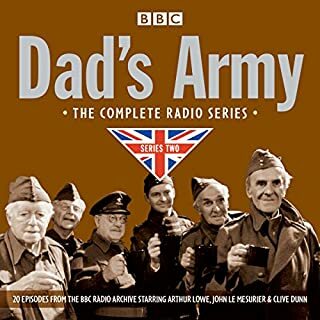 An outstanding radio adaptation. I've listened to this many times. All of the actors are very good but the lead really knocks it out of the park here. 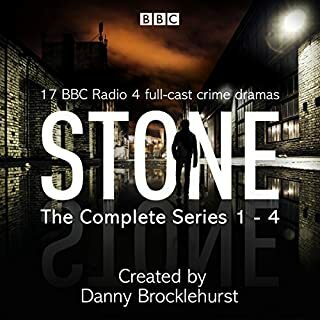 Toby Stephens and co really bring the characters to life, especially the hard-boiled Marlowe. 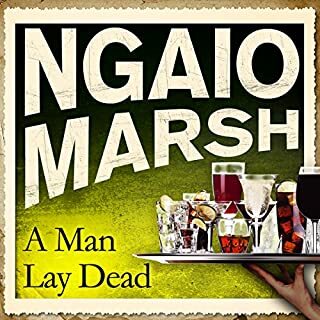 His quick wit and semi-bored-of-life attitude will leave you thoroughly entertained; he has some real gems of one-liners but I won't spoil it for you. Well recommended. Perfectly delivered, great tales, loved it. Chandler's Marlow is rendered with just the right degree of phlegmatic cynicism that shines from his written pages. Masterful, and the stories - long-beloved - stir as they always have. it’s like taking a slug from a .45. . .
I’ve listened to it about 4 times. Great for the gym or long train journeys. Excellent renderings of the books, great casting and wonderful direction. Have you listened to any of Toby Stephens’s other performances? How does this one compare? As good as Ray Porters unadrudged versions.